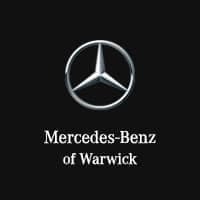 Thanks to the Mercedes-Benz van offers available at Mercedes-Benz of Warwick, you can count on us for any job in the Providence area. Whether you’re an electrician, plumber, another occupation, or simply require a van for cargo, there’s a Metris or Sprinter van for you — and you can get it for a smart price. Learn more about our current Mercedes-Benz offers before visiting our East Greenwich-area dealership to test out your options. When you’re ready to further explore what Mercedes-Benz of Warwick has to offer, contact us when you’re ready to find the right Mercedes-Benz van for your Cranston business!